Use this birthday poster template to throw a happy birthday party. This template, with birthday cake and candle images, is very suitable for making birthday party poster. 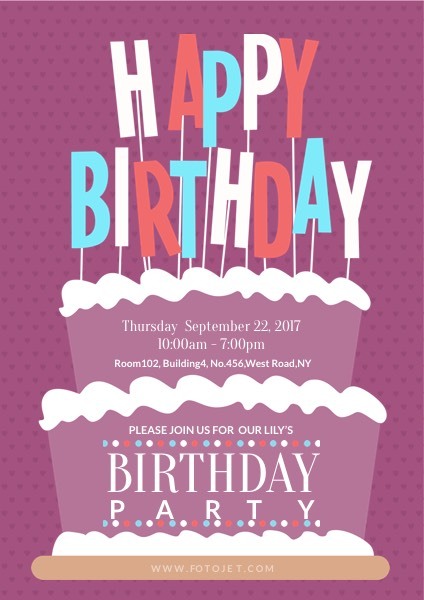 Spruce up the template to match the design you want for your birthday party by adding text or playing around with the fonts and colors. With amazingly simple editing features, the possibilities are endless. You can even add more clipart images and photos to personalize it.